Detail of Hermes from a scene depicting Cadmus and the Dragon. Hermes watches from heaven as Cadmus battles the Dragon-Serpent. 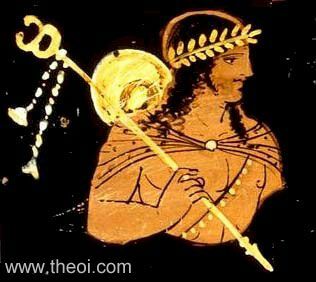 The herald of the gods carries a caduceus or herald's wand and wears a petasos cap.